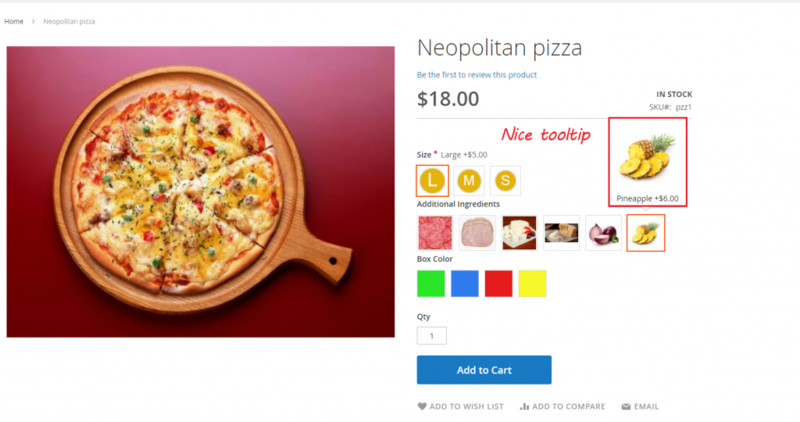 Home » Product Release » Color Picker For Custom Options goes Magento 2! Welcome our Color Picker For Custom Options for Magento 2! What is Color Picker For Custom Options? Color Picker For Custom Options for Magento 2 is designed and developed for those who want to see their customers satisfied. With the powerful swatches functionality, it is now real to show products in different colors, shapes and designs using custom options in Magento 2. 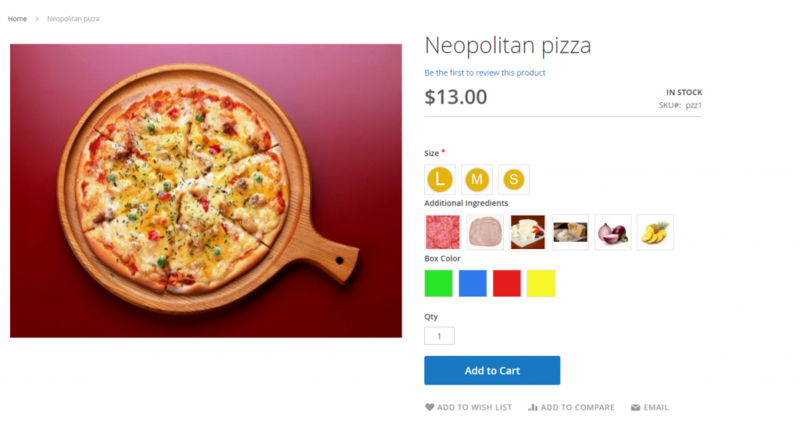 You can assign any product custom option a color or an image. Color Picker For Custom Options provides a high customization. You will be able to configure the sizes of boxes for swatch and tooltip options view. The system will generate appropriate thumbnails with selected sizes, so you won’t worry about cropping and resizing images for each option. 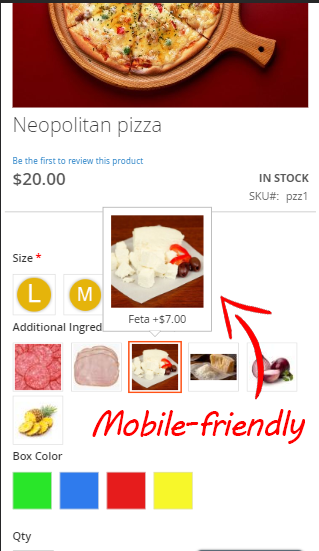 User-friendly tooltips, which also perfectly work on mobile devices, will make your customers pleased and satisfied even by simply choosing between options! With Color Picker, your customers will be thankful for saving their precious time. From now on you don’t need to upload tons of images to display different color options – just pick the one you need from the friendly color selector or type in the color code manually! Moreover, we plant to release more features very soon, so be sure to be updated! Are YOU excited? Because WE are! For more details about the Color Picker For Custom Options for Magento 2, be sure to visit our store! There are a huge choice of extensions for any taste.